This years Cleveland Show will be held in Stewart Park in Middlesbrough on Saturday 27th July 2013 from 9am to 5pm. 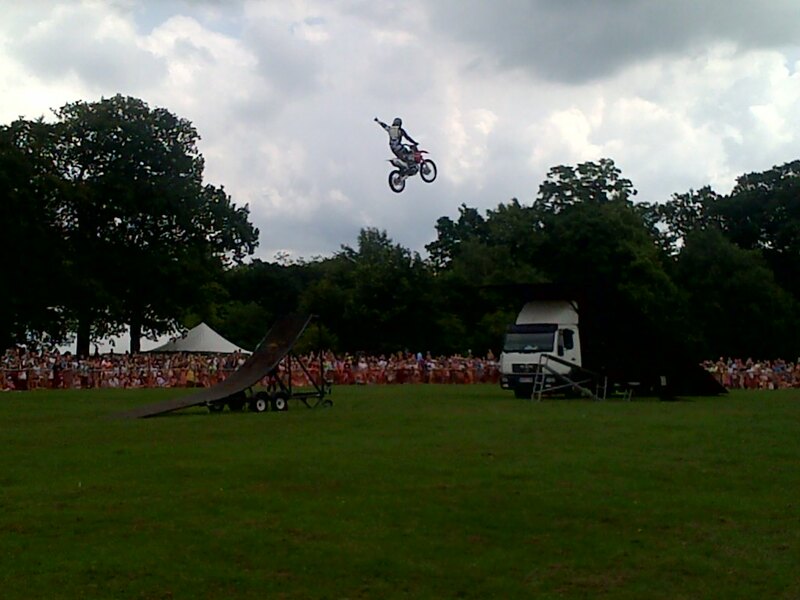 This year the Main Ring Attraction will be James Dylan Motorcycle Stunt Team. We are pleased to bring to Cleveland Show this wonderful Gavioli 110 Key Fairground Organ, which will be playing music throughout the day. This Organ was originally built in 1907 for a Barcelona Dance Hall. It was sold in 1925 to a London Showman where it was placed in the centre of his Galloping Horse Ride and played at traveling fairs. We will have all the usual classes for Horses, Cattle, Sheep, Goats, Show Jumping, Vintage Machinery, Dogs, Cats, Rats, Ferrets, Pigeons and Poultry, Horticulture and Honey. There will be a large Trade Stand Area along with a Craft Marquee. Entry forms and more information will be added to this website in the near future. Tees Valley Bonsai Society meet on third Tuesday each month at 7.15pm. We have speakers on various aspects of growing and styling bonsai trees and through the year we have several practical nights and tree critiques, where our experienced members talk about development of trees. All are welcome, including juniors, to come along and see if you like what we do. No experience is necessary, only a willingness to learn about this absorbing hobby.